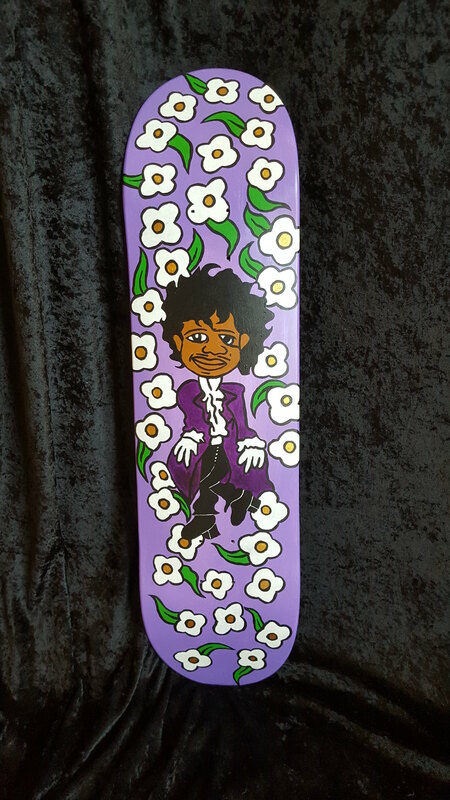 A friend of mine told me that one of legendary street skateboarder, Mark Gonzales's graphics was based on Prince. I didn't think it looked much like him so I had my Mpls. friend Patrick Smith draw up a more fitting tribute to both legends.These are handpainted. I think I am going to do a small run of screenprinted decks. If interested in either please DM me. 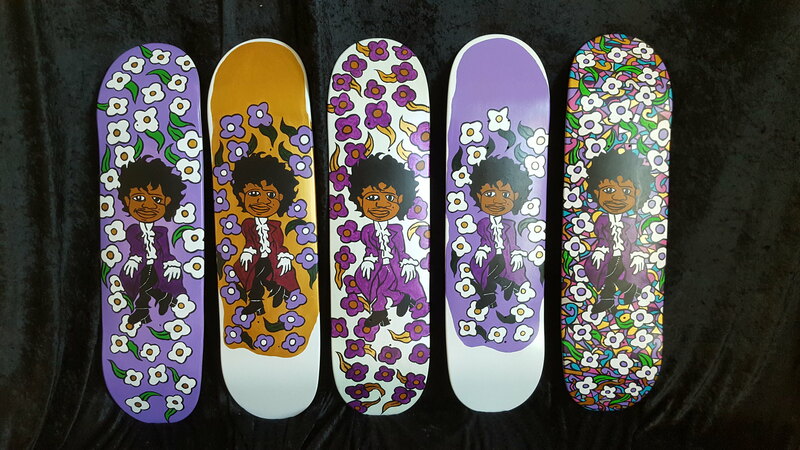 These boards are dedicated to Mark Gonzales and Prince. I'll kick a pinecone, like it ain't even a pebble.